Although it is normally necessary to ensure that personal injury claims are brought soon after an injury occurs, there are some injuries which may manifest themselves only years after they have been caused. Exposure to noxious substances is a common cause of delayed injury, with mesothelioma often taking decades to manifest itself after exposure to harmful asbestos fibres. The same is true of psychological injuries, the diagnosis of which can often only become clear years later. In a recent case, a man who developed psychological problems years after being sexually abused by a PE teacher at his school more than 40 years ago was awarded a five-figure compensation settlement. The PE teacher was jailed in 2015 for his crimes against children. 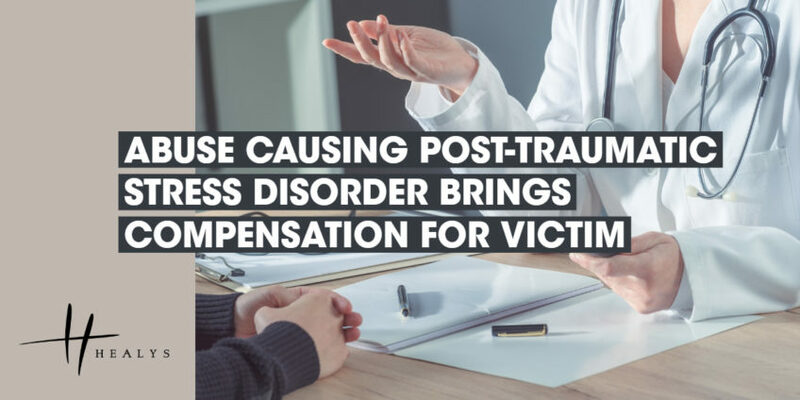 The man was diagnosed as suffering from post-traumatic stress disorder as a result of the abuse, and legal action resulted in a settlement that will allow him to obtain the expert therapy he needs to cope with the after-effects of the abuse. If you or a member of your family has been damaged as a result of abusive treatment meted out by another person, especially where that person was in a position of authority or trust, contact us for advice on 0207 822 4000 or email injury@healys.com. Compensation may be due from them or their employer, or in some instances from the Criminal Injuries Compensation Board.